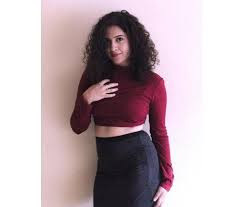 Sanya Malhotra, famous for her role as Babita Kumari Phogat in Aamir Khan-starrer film 'Dangal', has been approached for Anurag Kashyap's upcoming film 'Manmarziyan'. The film will be produced by 'Tanu Weds Manu Returns' director Aanand L. Rai. Makers of the film Manmarziyan has made quite a few changes since the project was announced. Earlier it was decided that Ayushmann Khurrana and Bhumi Pednekar will play the lead roles but now it has been decided to cast Sanya in the lead female role. Report is that the male lead too may undergo a change.